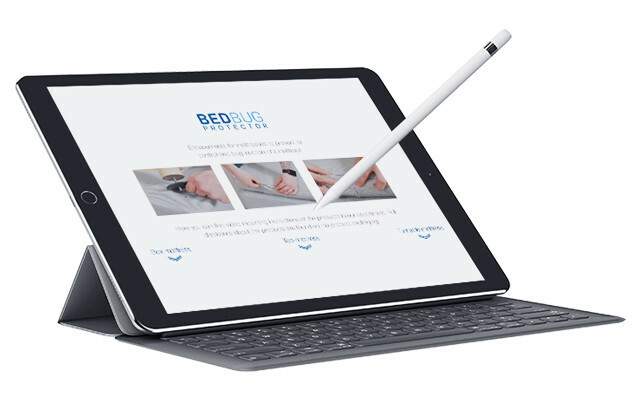 A bed bug attack may cause human suffering and discomfort, while at the same time, it can also have a great financial impact. With our new and unique bed protector you can, not only protect your mattress from attacks, but also manage & control an ongoing attack. 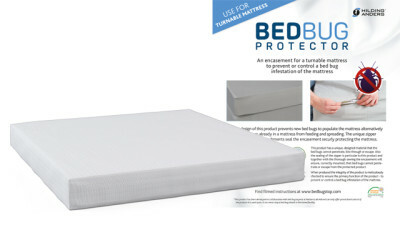 The bed bug protector is made from a unique material which the bed bugs cannot penetrate. During production the density of the material is rigorously tested to ensure its’ primary function – to prevent or control an attack. *This product can only provide protection for the bed/mattress. 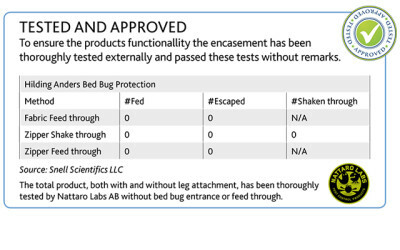 The product ma never render bed bugs from entering a home/facility. Produkten är konstruerad för att förhindra att vägglöss kommer in i en ramsäng alternativt förhindra att vägglöss i en ramsäng fortsätter att föröka sig och spridas. Den unika blixtlåslösningen förseglar skyddet vilket därmed ger skydd åt ramsängen. 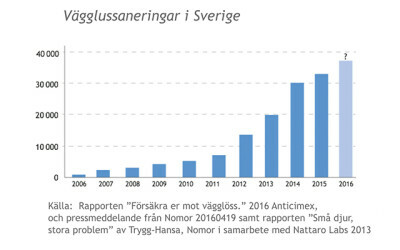 Produkten är konstruerad för att förhindra att vägglöss kommer in i en bäddmadrass alternativt förhindra att vägglöss i en bäddmadrass fortsätter att föröka sig och spridas. Den unika blixtlåslös-ningen förseglar skyddet vilket därmed ger skydd åt bäddmadrassen. Produkten är konstruerad för att förhindra att vägglöss kommer in i en vändbar madrass alternativt förhindra att vägglöss i en vändbar madrass fortsätter att föröka sig och spridas. Den unika blixtlåslösningen förseglar skyddet vilket därmed ger skydd åt den vändbara madrassen. In order for the product to properly function and for the warranty to uphold it is imperative that the instructions are followed carefully. Hilding Anders is responsible for the quality and functionality of the product udner the condition that it is assembled according to instructions. 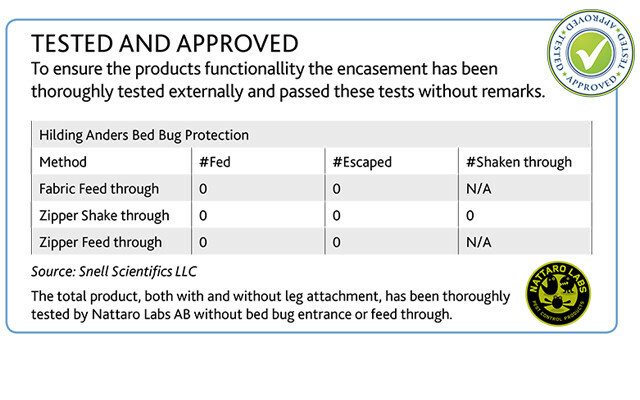 Nattaro Labs, Lund, Sverige - Leading experts on bedbugs with the leading laboratory in Scandinavia. 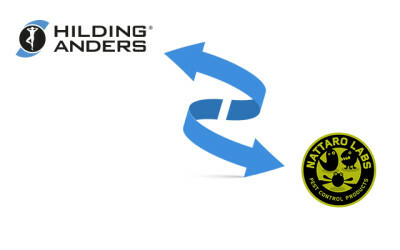 Nattaro labs have their own bed bug plantation and extensive research and development. The problem of bed bugs has resurfaced in Sweden and the rest of the world. 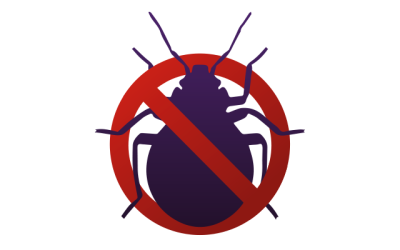 One factor is the change of people’s travelling habit and the fact that bed bugs have become resistant to pesticides. 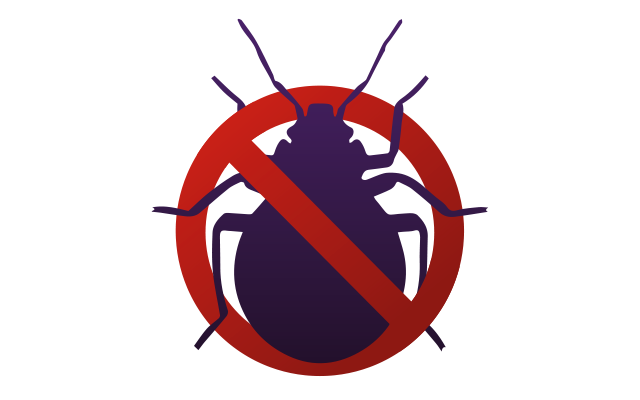 Bed bugs replicate which means that you need to take action in order to get rid of them. Bed bugs are insects who are active during the night. They are similar to mosquitos due to the fact that they receive their nourishment from humans. They are red and brown colored in their appearance and look similar to tiny beetles. They are approximately 1 – 5 mm long and are unable to fly. A sign of bed bugs is their feces. Tiny, black dots are warning signs. Bigger colonies will also give off a characteristic, somewhat wheat-like, smell. Their bites resemble that of a mosquito bite, but depending on how sensitive a person is - the reaction might be more or less powerful. Bed bugs are more than anything passively spread. This means that humans facilitate the spread by carrying them with us from, for example, our baggage, our clothes, second hand furniture, toys, books and even in electronics. Due to the fact that they are very resilient against insecticides they are difficult to hinder. Where can you find bed bugs? Bed bugs primarily live in small corners throughout the day which makes it difficult to discover them in time. The longer the duration of an attack the more likely they are to spread around the entire room or house. In order for the product to properly function and for the warranty to uphold it is imperative that the instructions are followed carefully. 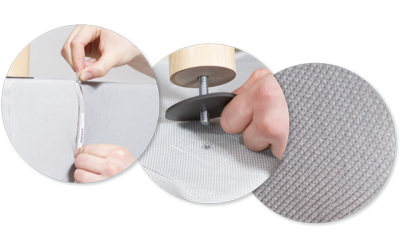 The assembly is easy – you can download the instructions here for your current bedding solution. 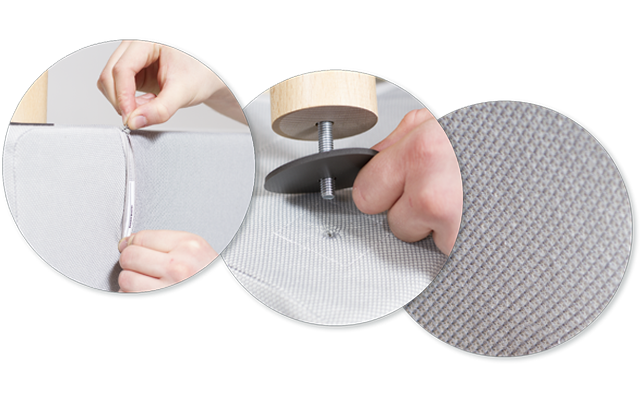 We also have videos that demonstrate how to assemble properly. •	Warranty is limited to 25 washes or up to three years – depending on which of the two that occurs first. •	Warranty does not cover direct or indirect damages. 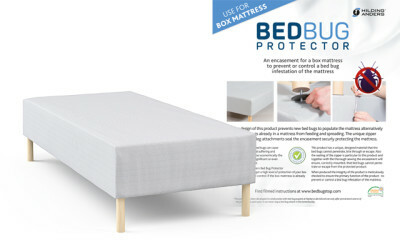 Hilding Anders and their retailers rejects all responsibility of bed bug attack or other damage in other products, material or spaces which the product is not supposed to protect. •	The warranty is only valid if the product has been assembled according to the instructions that has been provided by Hilding Anders. Damages due to misusage, changes of the product made by the buyer or when the instructions provided by Hilding Anders have not been followed will not be covered by the warranty. You can download more information about warranty here. 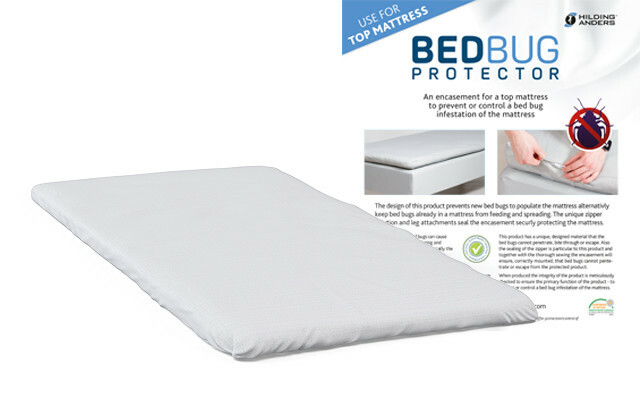 Nattaro Safe monteras som ett förebyggande skydd antingen direkt på sängramen (sängens undersida) eller utanpå Bed Bug Protector. 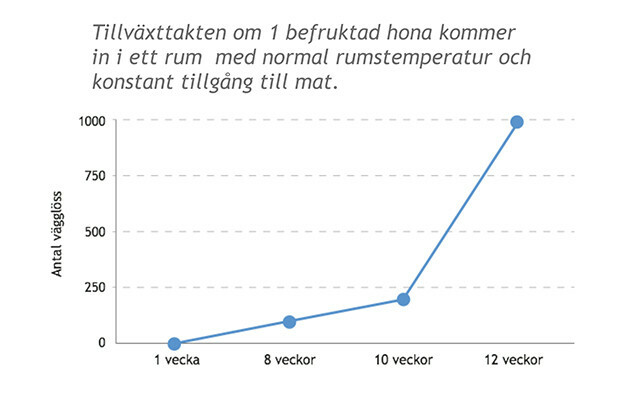 Produkten består av en vikt papperskonstruktion med självhäftande baksida. Dess insida är täckt av ett tunt lager kiselgur – ett naturmxedel med bevisad effekt mot vägglöss. Kiselgur gör att vägglusens vaxlager förstörs och vägglusen torkar ut och dör. Nattaro Safe is assembled as a preventive protection either directly below or outside of the BedBugs protector. The product consists of a paper construction with a self-stapling backside. Its interior is covered with a thin layer of Diatomaceous earth, a natural siliceous sedimentary rock with proven combative effect towards bed bugs. Diatomaceous earth makes the bed bug’s layer of wax dry out which is effectively life ending.